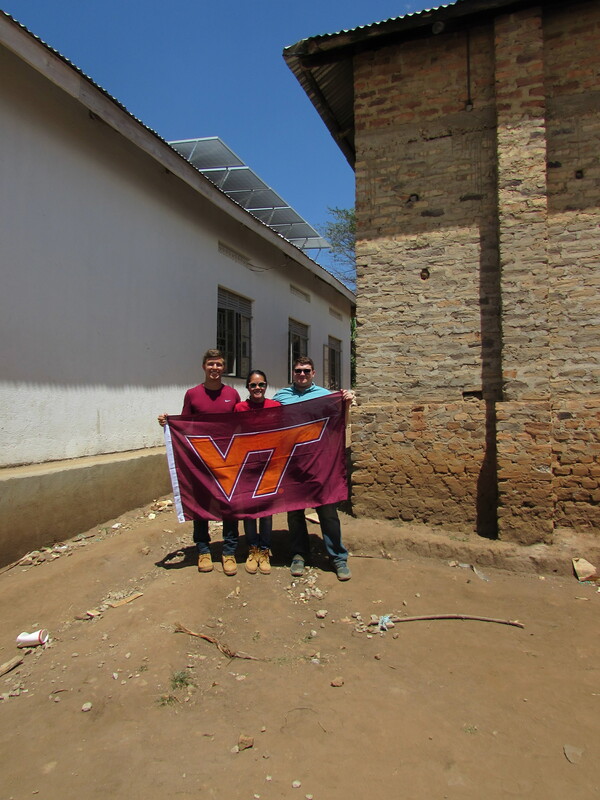 Beginning in 2007, the VT Uganda Project team has been steadily working on cost-effective renewable energy solutions for communities in and around the city of Masaka in Central Uganda. This region is known for its highly unreliable power grid, which experiences frequent blackouts that greatly disrupt the daily lives of the local communities. These blackouts are especially hard on the more vulnerable communities in the region such as orphanages and schools. In order to aid these groups and mitigate the effects of the Ugandan energy shortage, the Uganda team has formed a strong partnership with the Uganda Rural Fund (URF), a Non-profit non-governmental organization dedicated to empowering orphans, impoverished youth, and women in rural communities through education. To date, the Uganda team, in conjunction with the URF, has installed six off-grid solar energy systems for three separate schools and orphanages. The most recently installed system was completed just this past August at Nazareth Children's Home, an orphanage that is home to over 30 children in Nyendo, Uganda. In previous years, the team has also worked with St. Joseph's Secondary School, a day and boarding school of over 240 students and faculty, where the team has installed two systems for the boys' and girls' dormitories. Our third partner community is the Hope Integrated Secondary School System, a school of 150 students and a home to 20 orphans located in Kyetume, Uganda, where we have installed three separate systems including a solar-powered welding lab. Between these three communities our project has directly impacted the lives of over 400 students and orphans. Based on our recent exploratory work with new school systems such as St. Michael's Secondary School, we plan for this number to increase further in the coming years.